There are many outdoor sports in the local area, we have selected a few that may be of interest to you. There are numerous golf courses nearby. The closest being Antognolla less than 2 minutes from Alsagra. No membership is required and it is open all year, designed by Robert Trent Jones Jnr. The stunning castle is currently being renovated but the course remains open and available to play. 18 hole course, club and buggies are available to hire. Open every day, about 20 minutes drive. 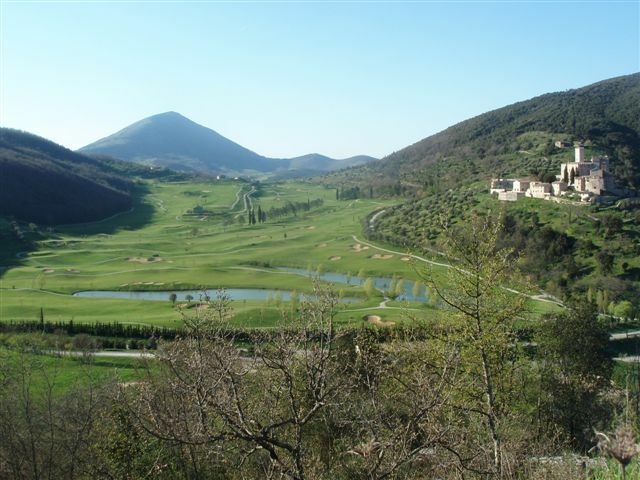 9 hole course set in the umbrian countryside. Aprrox. 30 minutes drive, open every day during spring, summer. In nearby Caserino, Magione you can hire ‘Quad Bikes’ and be taken on guided drives through the incredible scenery of that area, going through any number of mud holes. 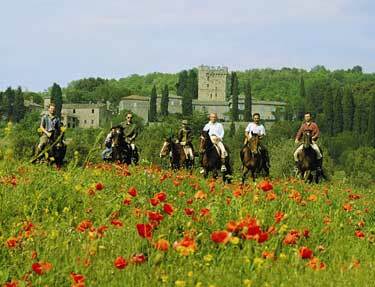 There are lots of cycle routes around northern umbria. A popular route is around Lake Trasimeno which is approx. 60 kms with part on the road and part on tracks so great for older children. You can rent a bike from our nearby cycle shop www.puntobici.com who will deliver them to Alsagra or rent a bike locally from around the lake www.parks-biking.it/bike-rentals-trasimeno-lake Great fun and exercise for all the family. The countryside around Corciano, Mount Tezio and near the Tiber valley offers plenty of opportunity for unforgettable treks and rides for people with all levels of experience. The local riding schools have their own stable yards with qualified instructors offering individual and group lessons and rides (for anything from one hour to four hours) which are guided by experienced and trained staff.